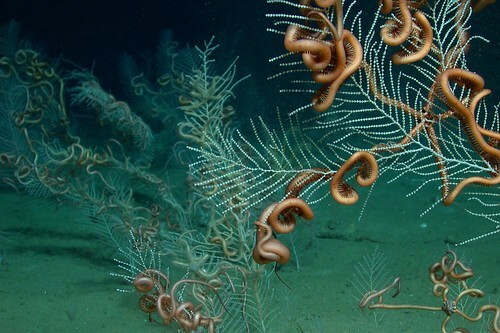 A field of the soft coral Callogorgia sp. with its ophiuroid symbiont. Gulf of Mexico. 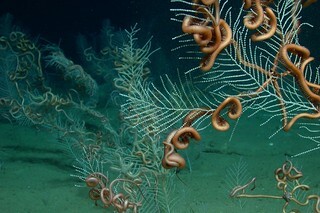 Credit: Lophelia II 2010 Expedition, NOAA-OER/BOEMRE.